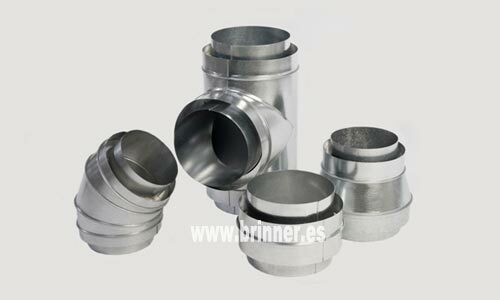 BRINNER manufactures circular conduit and accessories in galvanized steel sheet, stainless steel and aluminum of different thicknesses. We have internally insulated duct with self-adhesive elastomeric foam of 10, 20 or 30 millimeters thick and double-walled duct with intermediate insulation of 50 mm thick glass wool. The CE marking is mandatory from February 1, 2013 for smoke extraction ducts. It has fire resistance tests. Manufactured in thickness 0,7 mm CE Certificate in force. Always ask the manufacturer for the document proving the period of validity of the CE Certificate as a guarantee that it is not expired. 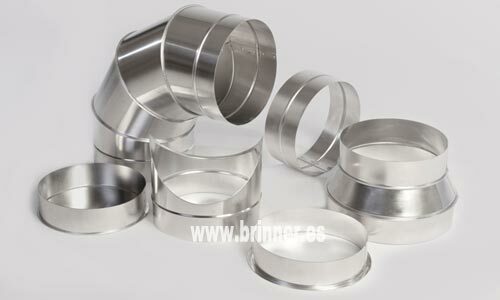 Circular duct accessories with rubber gasket up to 1,250 mm diameter that exceed the sealing requirements of class D according to the UNE-EN-12237 standard. Avoid the risks of a leaky installation: higher operating costs, regulatory problems and oversized equipment and conduits. BRINNER has a circular duct with the EI 30 classification. The Technical Building Code indicates that the fume extraction ducts of kitchens, whether they run inside the building or the façade less than 1.50 meters away from balconies, terraces or openings, will have an EI 30 rating. 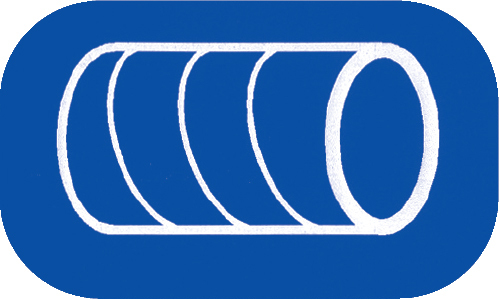 The great novelty of our EI 30 pipe compared to other existing ones is that, being a helical circular duct, it allows us to manufacture the longest sections of the market (2 meters in length), with the consequent saving in joining clamps and time of mounting. 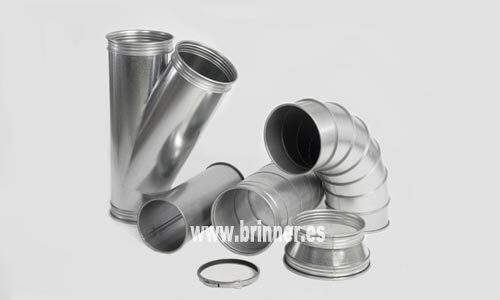 Collective duct for kitchen extractors in residential buildings according to the Technical Building Code. Our shunt collector consists of a main conduit with watertight elbow and an inner conduit for each extractor to the next plant. 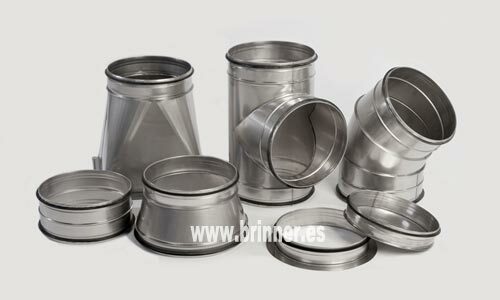 Available in different diameters.